Imagine if you took a superhero show about mutants--who have had countless movies and television programs--but for once you switched it up and gave it to a showrunner whose style is more art-house than, "Blockbuster." This could be a recipe for disaster, or it could result in a show so bizarre, clever, and beautiful that I consider it my favorite program of 2017--and I've been singing its praises since earlier this year! 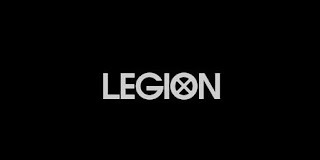 That show is, "Legion," on FX, and it came out right at the start of 2017 and nothing has been able to match it since in its pure majesty. The plot seems simple with its focus on a young man who thinks he has a mental disorder but might be the most powerful mutant ever...while still having a mental disorder. Showrunner Noah Hawley gives us a program so full of ingenious twists, turns, and gorgeous imagery that, "Legion," impresses in basically every episode of its tragically-short (at least in my opinion) 8-episode season. I can't wait for 2018 to finally arrive and bring with it more of this amazing show.